The Rebel Sweetheart. : 5 Tips to Make Your Stainless Steel Pots and Pans Last Longer. 5 Tips to Make Your Stainless Steel Pots and Pans Last Longer. Cooking is one of the most rewarding hobbies and duties as a mom. Whenever you see the whole family, especially the kids loved what you prepared, the appreciation is priceless. However, after pre-cooking, preparation, cooking, meal setup, and eating, then there comes cleaning. It is one of the most unfavorable and most unlikely tasks in the house. But, whether you like it or not, cleaning is a must-do duty. 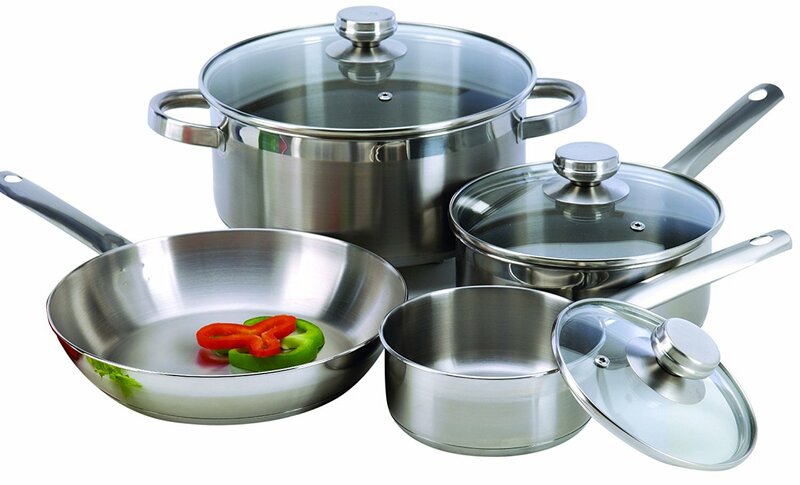 Cooking wares such as pots, pans, knife, ladles, tongs, chopping board, etc. are not easy to clean especially when there is already sticky build-up. Stainless steel pots and pans are one of the cookware that needs special care when cleaning; here are some tips on how to give extra attention. For regular, daily use, clean your stainless steel pots and pans with a sponge using warm soapy water. Wash it first with water to remove any remaining food before using the sponge. If there is a thickened or substantial remnant, use warm water in washing. You can also put the cookware with water in medium heat so the residue will get soft. Never use steel wool and rough towels in cleaning and drying or else, the surface will get scratches. Stainless steel cookware is very susceptible to stains that come from food reaction. You can use oxalic acid cleaner for blemishes, and you can buy it from grocery stores. But if it is out of reach, you can also use baking soda, and hot water for soaking before you wash it. Let the mixture set, do not clean so soon, set it for a couple of hours before you clean. Photo credit: Stay at Home Mum. Before removing burnt food, soak the stainless steel cookware with hot water first. Bring it to low heat and set to boil. Turn off the heat and let it cool down. Once the water is cooled down and configured, you can now wash it. Aside from warm and soapy water, you can use a nylon scrub pad for cleaning. If you are using the stainless pots and pans for boiling, there is a vast possibility of calcium deposits. These are shown in white spots at the bottom of the cookware. Vinegar is one of the harshest cleaners when it comes to calcium deposits. 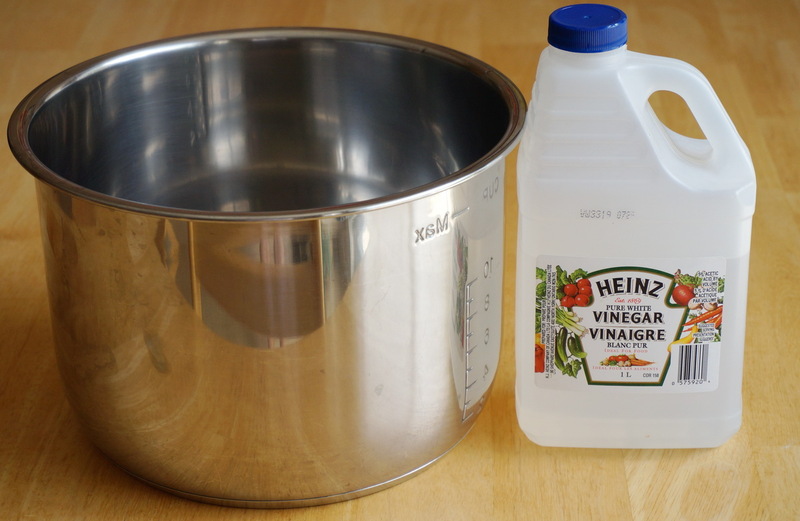 Mix 4 parts of water to 1/4 part of white vinegar then let the mixture soak in the cookware for just a few minutes. Never soak it for a longer period or else, the cookware will get tarnished and will no longer be excellent for future cooking. Have you seen a rainbow color on your stainless steel pots? It is a discoloration, and it happens when there is too much heat applied to the cookware. For a quick cleaning, wash your stainless steel cookware with vinegar to help bring back its bright and original color. You can also try cooking high acidic food to avoid and treat discoloration. Cleaning must not be a difficult task, especially for busy moms out there. It can be a pleasant and enjoyable task, as long as there are helpful tips that will ease your cleaning burden. I'm afraid I am reading this too late as I have already thrown out my huge stock pot because my son, an adult burnt it quite badly. I always wondered about the rainbow color on pans and assumed they were not rinsed well enough. 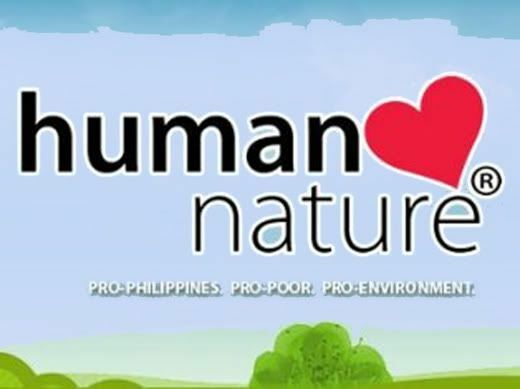 Thanks for the awesome tips which I will pass on to my adult children and their spouses. What a great post. I learned some lovely tips from this and will be implementing them in my cleaning routine. Great job. This is really useful, I'm sharing this post with my mom right now, as I know she faces this issue with her pots a lot! Very informative post. I always burn my vessels and getting the burnt remains is the hardest part. Thanks for the tips. I am saving this post. All are awesome tips to make sure your stainless steel pans last longer! I can really use these since most of my pans are stainless steel. So helpful!